Kelly traveled with her children when they were 6 weeks old, and braved Spain's Running of the Bulls when she was pregnant and with toddler. Annabel takes her children to Mexico regularly to camp on the beach so that she and her husband can enjoy a few weeks of windsurfing. Lorraine took her children to Central America and New Zealand within the span of 14 months. Are we all nuts? 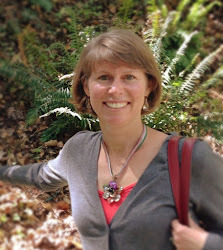 Kelly Rubingh, our fantastic travel agent, owns Family Travel in San Carlos, California (www.family.travel). 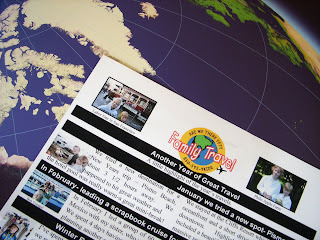 She averages a trip a month, and her annual newsletter is jam packed with vacation ideas. She is the real deal, and the inspiration behind this article. Annabel, my friend and business partner, has three amazing children under 5 that already know how to ski, rock climb, and ride bikes! And me? I'm just along for the ride! After polling the three of us about our family travel experiences, I compiled these points that might be intersting to families who are starting to plan their own adventures. WHERE SHOULD WE GO? 1) Anyplace that YOU really want to go, 2) places with kids programs so that you can build some time to yourself while vacationing with your family, and 3) places with other families so the kids can link up and play together. WHY SHOULD I GO? So you can spend dedicated time with your family without the distractions of home, and so you can experience new things together. You may think, well the kids are so young, what will they remember? While it's true that a toddler may not remember a glacier, the toddler will still benefit from the happy and inspired parents viewing the glacier. HOW DO I GO? Go where you want, but factor in a daily pace that accommodates children. Kid bedtime doesn't mean you're locked in for the night, it means that you will get the rest you need, and time to recap the day with your spouse after the kids are snoring. Eating out at a fancy restaurant may not be on the agenda, but a picnic in the park enjoyed by all could hit the spot just fine. Children open up cultural doors for everyone, and sometimes you'll get more out of the local playground than any guided tour. WHEN DO I GO? This depends on your tolerance for gear and sleep schedules. Some, like Kelly, start at 6 weeks! Annabel started very early as well. I tried the first year, just to prove a point, and then backed off for another year. I think we all are thankful for those early adventures, but also agree that it gets easier as the dependencies (diapers, gear, sleep) become simpler. Whatever the case, I am grateful my family has stepped out together, as a team. Thanks to my amazing business partner, Annabel, and my fabulous travel agent, Kelly, for your contributions. I love trying to keep up with you, and benefit from every moment! As a mom who just got back from vacation with my kids, I saw go when and where you can. It is the little memories I keep with me each time. Just got done with a seven-hour drive back from San Diego, and even thought I'm exhausted, I still have enough memories to have made it all worthwhile. I love these tips, and I'm going to earmark this page for future reference. I think a key point that you mention is ATTITUDE. I've seen families on vacation, and I'm certain the kids would have had a marvelous time if only Mom and Dad would relax and enjoy. To assume that things will run smoothly with children in tow is an unreasonable expectation. I agree that the parents need to view this experience as an adventure and take the mishaps as opportunities... even when you want to strangle someone.